The magicJack 2014 just arrived. Watch me unbox it for you in this video below. 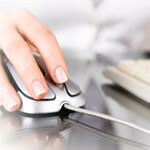 It helps to know before-hand as much as possible what to expect when registering a device. To that end, I figured it would be a good idea to type up a list of questions and chat with magicJack support about it. What follows below is my chat session with Jeaniza. I made an effort to frame my questions in such a way that it would be easy to answer with a simple “Yes” or “No”. Some of the answers surprised me, so I had to rephrase and ask additional questions, but overall, I think I learned a lot about the registration process before actually doing it. 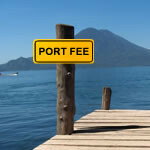 What is port forwarding? Why do I care? How do I do it? Learn with me today how these settings can make a world of difference when using your magicjack plus at home. First, why do I care? 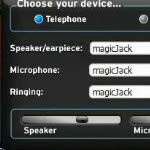 A number of magicJack plus users are finding it difficult to hear others on their phone. Likewise, others have trouble hearing them. Here’s a fix that should work for most users. Many people are beginning to recognize the value of making your main phone number not a magicJack number, but instead, using a preferred Google Voice (GV) number to forward calls to a local number randomly assigned by magicJack. That way, no matter what happens with magicJack, your GV number will always work no matter what magicJack-assigned number or numbers it’s pointed at. 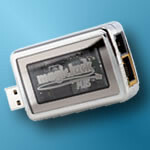 In the past, the magicJack plus was installed by inserting it first into your computer’s USB port and following the install directions. 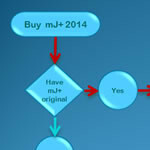 This apparently is no longer the case with the mJ+ 2014. 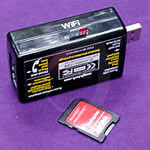 Plug in the new 2014 mj plus in the wall outlet and router and then visit www.mjreg.com and let the video finish for the registration to appear. 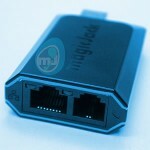 magicJack Plus 2014 – New Hardware – Worth it? I just got an email telling me I could buy the new 2014 magicJack Plus for $30, including six free months of service. It sounds like a good deal, but is it worth it?